I want to share something about our co-founder. Today I want to share something with all of you. About a person who has been an integral part of Juststickers from it’s inception days. This person was my father, Late Yashpal Chawla. Writing late in front of his name is something I still cannot fathom to write and accepting the reality is unbearable. But life is such. We always had a very simple, non business family background. I too moved from Kolkata to Bengaluru and started my job with an amazing company called Langoor. But I always had this urge to solve a problem and start a business. Even though, I never had any business background or mentor, my parents were always supportive of me. So when I had this idea of starting Juststickers, my dad was equally excited and this is where I found my co-founder in him too. Even though no one believed in this, my dad was there with me with. At the age of 58, he decided to be a part time entrepreneur. While I was continuing with my job in Bengaluru, he laid the entire foundation of what we have today. He use to contact various vendors all over Kolkata and get samples made, contact packaging material vendors, figure out the best logistics available etc. Thanks to technology (most importantly whatsapp), even though we were miles apart, we would share notes and images of different samples and discuss strategies throughout the day. When I would visit home during the holidays, we use to discuss about the products, the entire process on how to serve the customers and most importantly the entire Juststickers experience. Given the tech background, I knew what e-commerce was as a technology, but e-commerce as a business was totally new to both of us and we learnt it together. The very first samples we ever made. Shared via WhatsApp. The whole journey of starting a company, discovering new issues, solving new problems everyday was something which was very special for us. 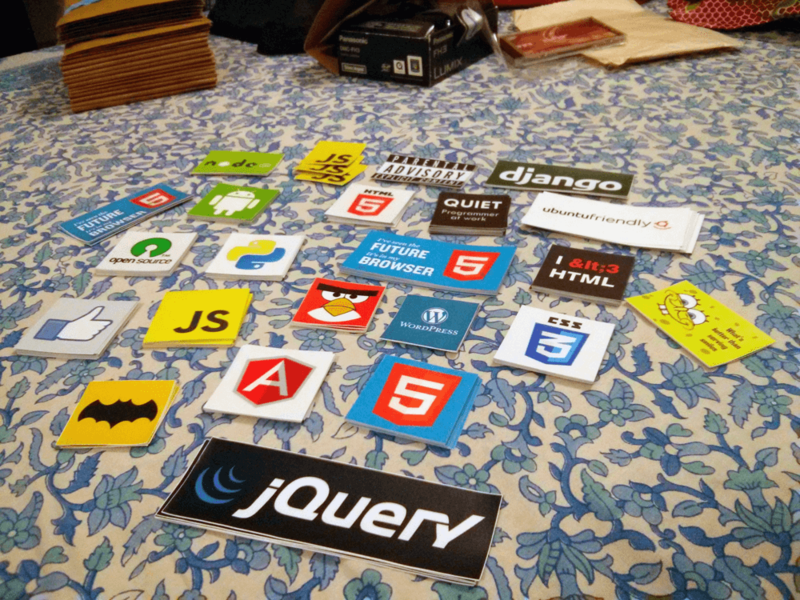 By the time I decided to leave my job and jump full time on to Juststickers, my mom and dad had a basic setup running in Kolkata and he was already managing the operations with a lot of enthusiasm. I am sure that he even spoke to a lot of you whenever you called us up. I can still imagine the excitement of every review that came in and how he use to tell me about it (even though we use to get the same alerts, haha). Entrepreneurship gave me the opportunity to come back home and spend more time with my parents. 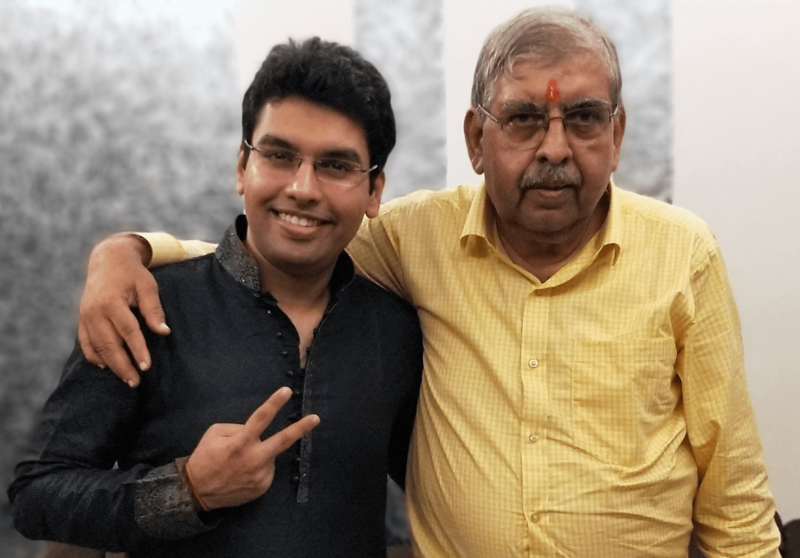 Most importantly, it also gave my father an immense proud feeling to see the small idea grow into a business and interact with so many of our customers. Seeing that happiness in him was something which I cannot describe in words. This past couple of weeks have been a very difficult time for our family. My father had a sudden massive heart attack and he left all of us at 62. This was sudden because we had regular checkups done and he had no heart related history. The last few days before he left us were really special. We spent a lot of time together, did small chores together, binged on Netflix and even discussed on growing Juststickers, renting a new office space, adding new products, experiences etc. The whole family was together when this attack came. One moment he was smiling and discussing about a relative’s pet and the next moment he was having an attack. We reached hospital on time and he even spoke to me. But he could never recover from the blockage and low blood pressure. I know this is a very sentimental write up and I am not sure of the state of mind I have been in, but I wanted everyone to know about him. That he was one of the main pillars of Juststickers and that this was possible only because of him. He was associated in some way or the other with each of the orders that went out. He helped in bringing smiles to so many faces all across India and a lot of other countries too. I lost my father, my best friend and my co-founder all at once and there is a void which can never be filled, a pain which can never be subdued. Cannot even imagine what my mother is going through. But I am sure he is in a better place and I will make him prouder. Will always love and miss him. No matter wherever you are, go hug or call your dear and loved ones. Tell them that you love them. Life is all about the people we have.